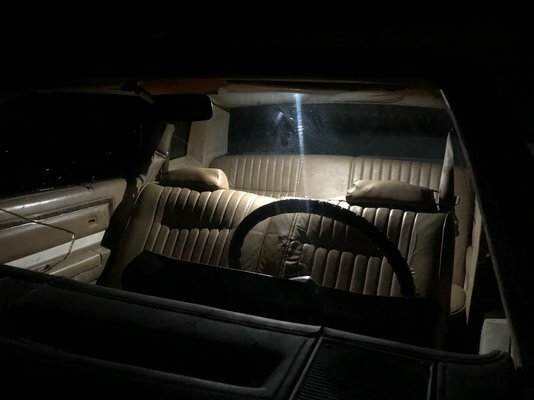 So I purchased a 1981 Monte Carlo in April 2018. It was originally a v6 auto bench seat non AC car, fairly generic Monte to my understanding. I purchased the car with a 383 under the hood, muncie m21, and a gbody 8.5" 10 bolt. Overall the car was fairly straight and the money was in the running gear for sure, but that meant i could take my time and enjoy and just clean it up and refine it as i go. When the rear end was swapped the parking brake cables were cut. I decided i will simply install new cables and be on my merry way. I was sorely mistaken. The rear brake cylinders were shot, the shoes were falling apart, the shoe retainer was missing and the parking brake lever arm was not in either side. Thus started a complete rebuild of the rear brakes. I damaged the driver side backing plate removing the one of the wheel cylinders. Also went to s10 wheel cylinders and the Raybestos wheel cylinder brackets. The backing plates had to be drilled to accept the parking brake cable. The Proform perfect launch cover, which adds an additional quart of capacity as well as drain plug. You can also see the new parking brake cables, and hard lines which fit surprisingly well. Next order of business was installed the factory dash the Marshall gauges i purchased. Which incorporated an electronic speedometer. The sender for the speedo would work fine with an auto trans but it interfered with the shifter linkages of the Muncie. 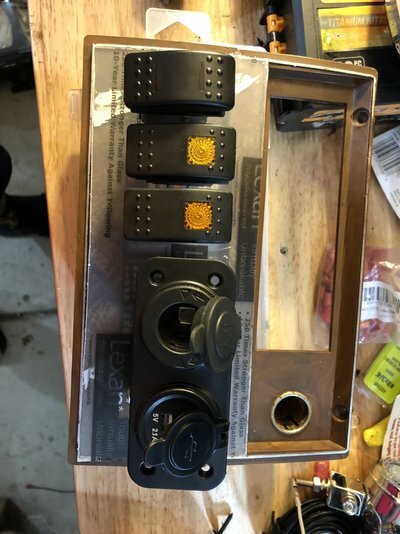 I dont have a picture of this but i purchased a lower speedometer cable (20") off a car/truck with cruise and was able to relocate the speedo sender away from the shifter linkages. Nice! Nothing personal, but that dash was giving me nightmares. While you have the dash out, you should pick up one of the vacuformed dash covers. They look really good. Keep at it! That dash said "I have dirt track in my near future"
At some point ill turn my attention towards the interior, im trying to get the running gear sorted out at this point, The brake booster has a leak so im going to be replacing the booster/master cylinder here shortly. Nice project , it always seems to be the things you think will be little repairs , that lead to a cascade of more expensive things. Replaced the Booster and Master cylinder. Had the wife help me bleed the brakes after i sucked the master dry somehow. Will take it out when its not raining. Taking today to try and tidy up the interior a touch. Replaced the burned out dome light bulb with an LED, messing around with some rocker switches and adding USB charging capabilities in place of my radio. Got my dash fully installed. Ignore the HVAC and Wideband harnesses.